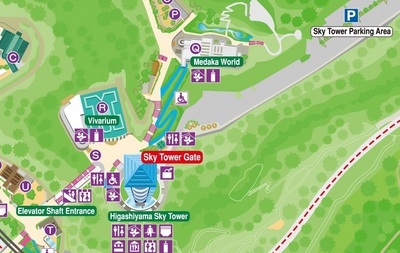 Welcome to Higashiyama Sky Tower! 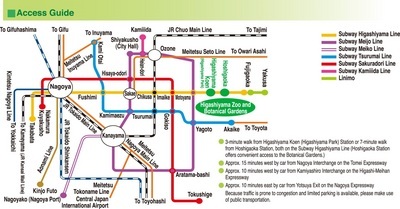 Please inquire in advance regarding excursions by junior high schools, elementary schools, kindergartens, nursery schools, schools for the disabled, etc. Admission is free of charge for junior high school students and under. 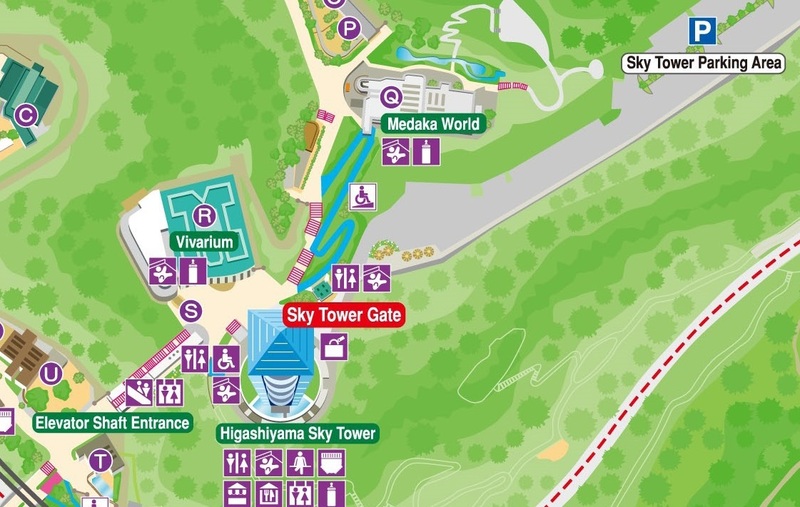 Higashiyama Sky Tower is located next to Higashiyama Zoo and Botanical Gardens so you can easily acssess via Sky Tower Gate near the Vivarium. 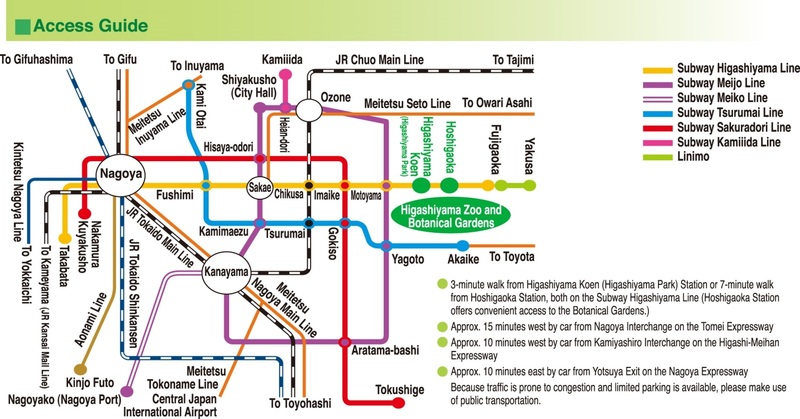 Please check “Access Guide” of Higashiayama Zoo and Botanical Gardens.